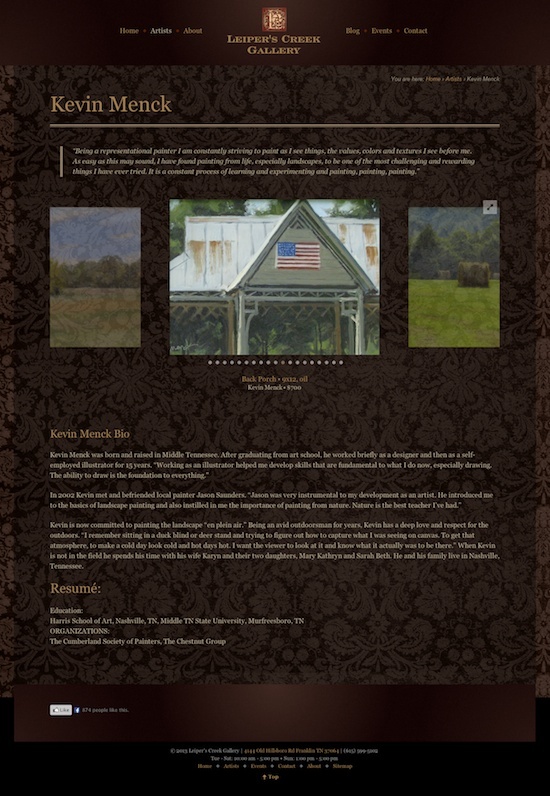 The site for Leiper’s Creek Gallery in Leiper’s Fork, TN was an upgrade to a non-flash-based website. 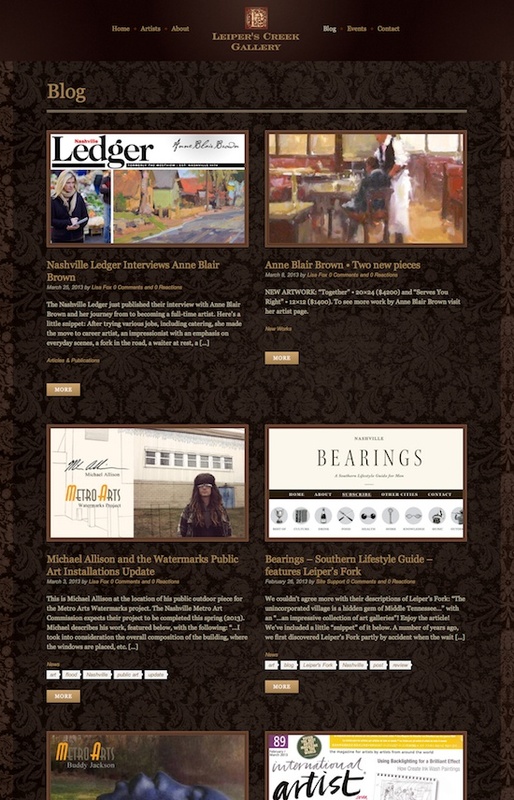 Having decided on WordPress, we built the site based on the elegant Amadeus theme by bringthepixel. 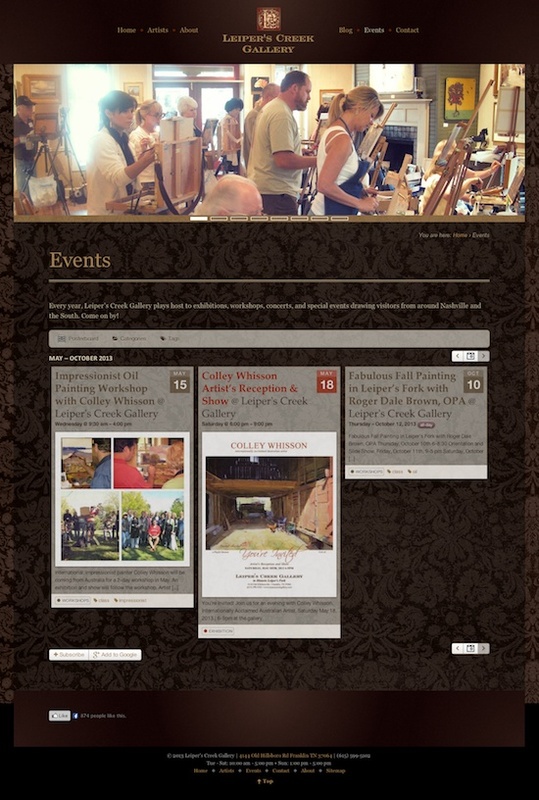 A primary purpose of an art gallery website is to display art in an easy-to-navigate way; browsing artwork online can be very enjoyable. 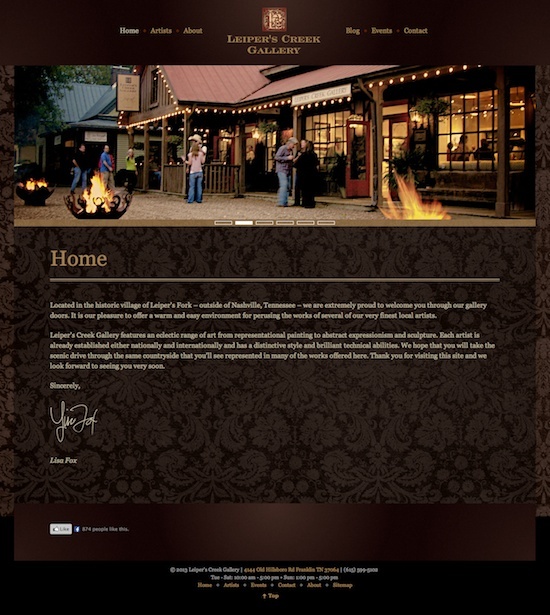 The RoyalSlider was a fantastic option for us as mobile use was high on the priority list, especially coming from a previously flash-based site. RoyalSlider has a lot of options for WordPress, is touch-enabled, and has a comprehensive support forum (in my opinion worth the $20). Free plugins used included Gravity Forms, All-in-One Event Calendar, and DISQUS Comment System, and, as mentioned before, the premium plugin RoyalSlider. This project was completed in February 2013. 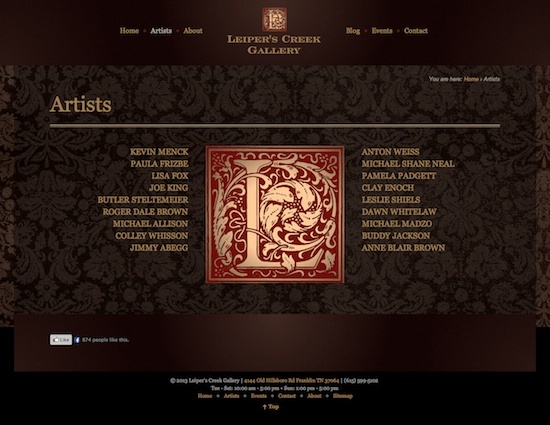 Leiper's Creek Gallery is a gallery of fine art in Leiper's Fork, TN outside of Nashville. 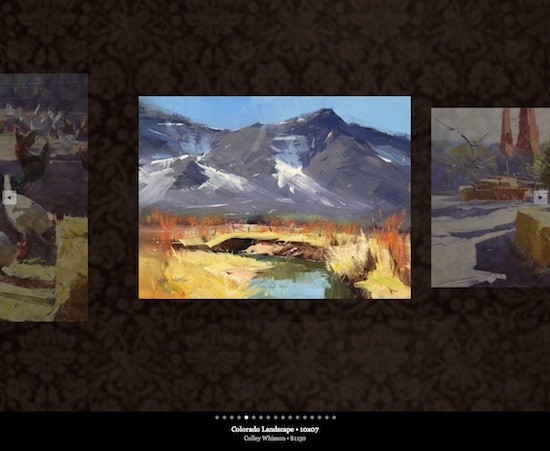 They feature an eclectic range of art from representational painting to abstract expressionism and sculpture. Owned by Lisa Fox.